It's August (in case you have been asleep and missed the news). Tomatoes are ready. NJ is famous for our tomatoes. 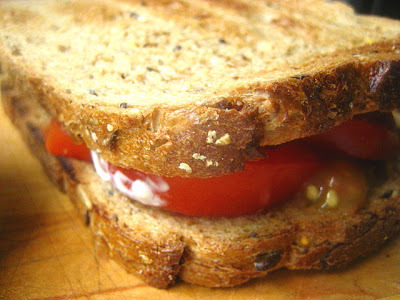 A proud moment is my first tomato sandwich using a tomato from my garden. On toast with mayo, it's one of life's greatest pleasures. 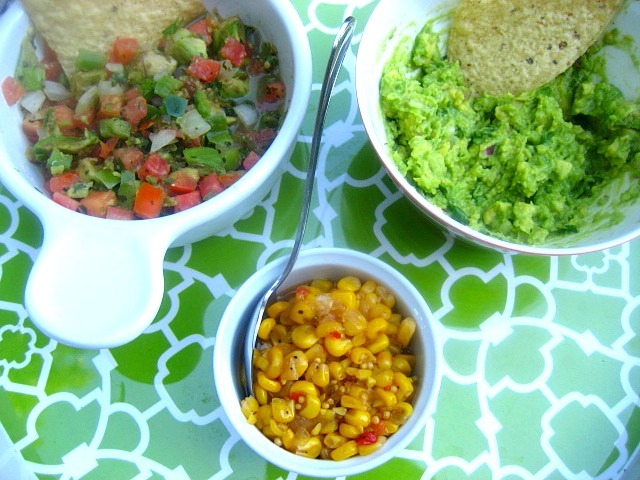 Hot nights require cool dinners. 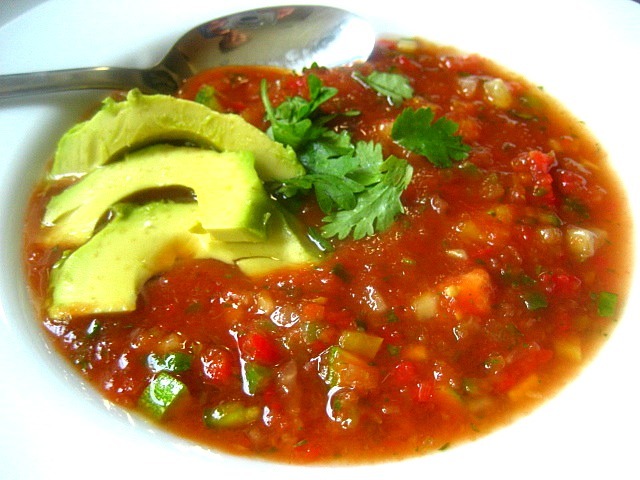 A lovely bowl of gazpacho with sliced avocado. Yum. 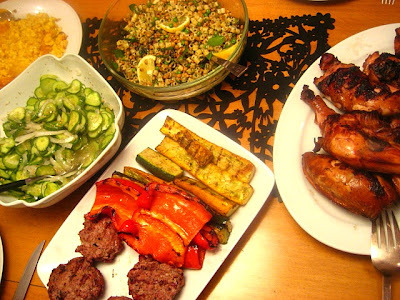 August is BBQ time........check out our friend Bob's fancy new grill! It's the perfect weather for chips and salsa and my favorite guacamole recipe. Remember, avocados are one of the healthiest foods you can eat. 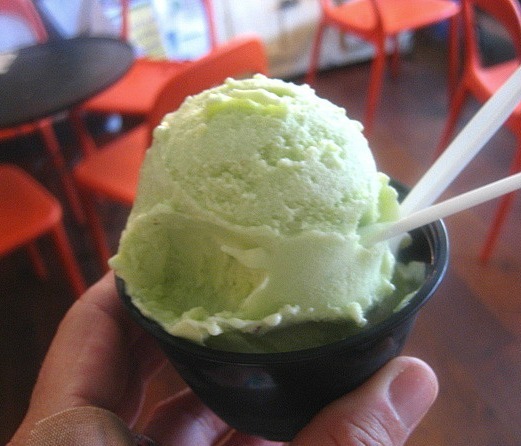 The most amazing thing I have tasted this summer so far, was lemon basil ice cream. 2nd place goes to the Jersey blueberry opal basil ice cream. I am dreaming of it still. 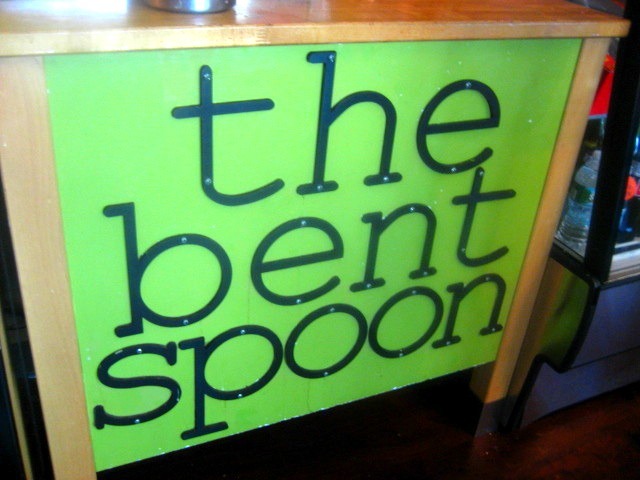 These artisanal, orgasmic flavors can be found at The Bent Spoon in Princeton, NJ. If you live in Central Jersey, this place is on your radar. 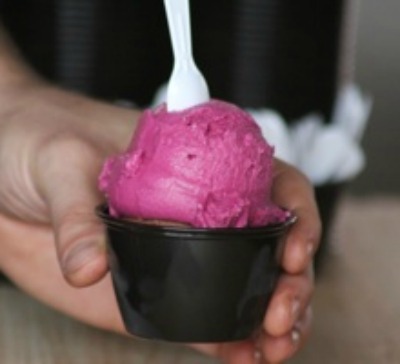 Everything made with organic ingredients.....ice creams and sorbets, the best you will ever eat in your life. Recently a reader asked me if I had ever tried the "toasties" at my favorite NJ red sauce joint, I replied with a "huh?". How could I be going to a place since I am 10 years old and not have a clue about toasties? Toasties are little golf ball sized fried meatballs, served with your choice of red sauce or yellow mustard. The reader recommended the mustard. 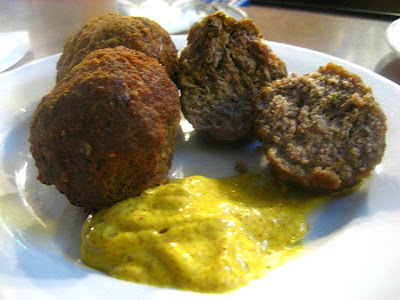 Ok, so we ordered a dozen (.75 per ball) with the mustard. 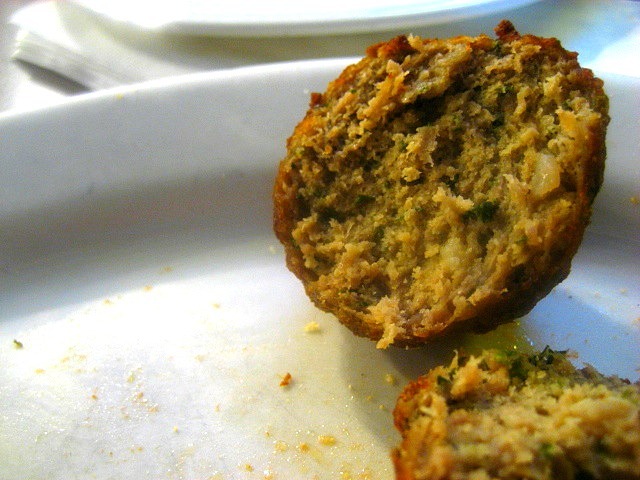 Great balls, but sacrilegious to dip them in yellow stuff. Next time we'll order the sauce. Ah, Jersey tomatoes. They are the best according to my Jersey husband and I agree that they are really, really good and wish I had a basket full right now. 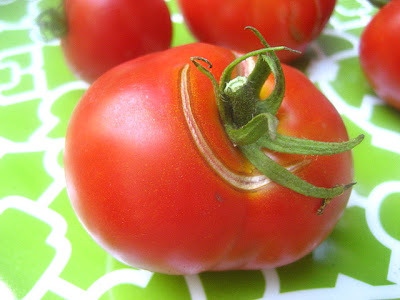 I still have fond memories of my Bradley County Pink Tomato from Arkansas, but they've mostly bred the taste out of them so they would "ship" well. What is the world coming to. Lemon basil ice cream is soo refreshing. It's one of my favorites too. 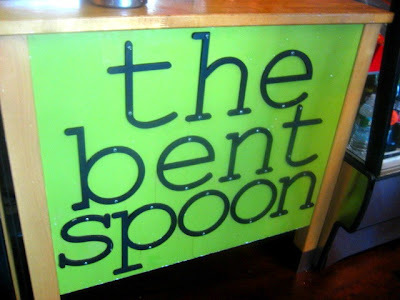 yum - That gazpacho with avocado is in my future - and Bent Spoon - well, Gabby and Matt and their ice cream are one of our town's treasures. I may have to take a walk there tonight! ps - yes, I agree - mustard and meatballs is a no-no. And after making thai basil ice cream, I imagine that lemon basil must be equally delicious! I love summer, I'm craving the lemon basil icecream, never had it but I want to now! We have an abundance of tomatoes and they taste heavenly. I haven't had a Jersey tomato but they must be amazing. Hi Stac, Jim from Montville. Can't believe that you were a toastie " virgin".....best way to eat them is to dip them in the grated parmigiano...no sauce. See you there soon. Oh, love that grill. Do you know the maker of it? Thanks! I have received a few emails about the grill......it's for serious grillers who love to cook with wood. Engelbrecht Grills and Cookers is who makes the grill. Paxton, Illinios. Small family owned operation. Owner is Chris Engelbrecht and he's super nice. 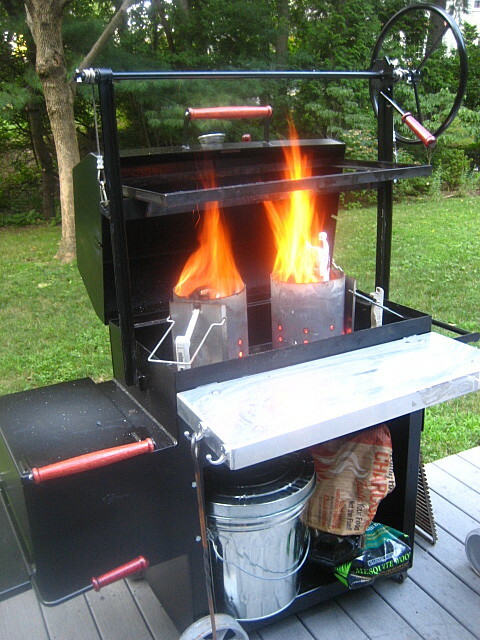 Thanks for the grill info, we are looking for a high end grill for grilling w/ woods....just checked out the website, will get more info on it! Lemon basil ice cream? Wow! I'll have to fiddle around and see if I can recreate that flavor combo. I love making homemade ice cream (custard based). I've got plenty of basil. I'm looking at our green tomatoes. This summer, has been the longest stretches of overcast skies and cool temps. I'm not complaining, after reading how the rest of the country is hot. Still... it looks like Fried Green tomatoes is what we'll be eating. GORGEOUS tomatoes. Oh, how I long for some garden fresh variety. Tomatoes in Minnesota are just starting to turn! Can you believe it? It's mid-August!!! I brought heirloom tomatoes back this weekend from my sister in Ohio!!! I have 13 plants. She has two with a bumper crop. I did eat tomato sandwiches while visiting her. 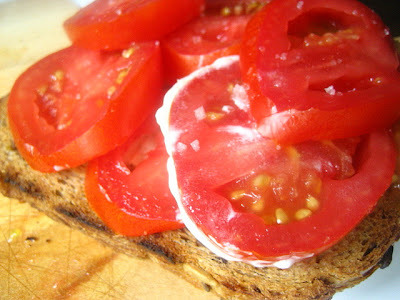 Toast, tomatoes, mayo, and a big sprinkling of fleur de sel.